How Has the Guild Helped in the Past? In 2011, when the Transitional Council for the Psychotherapy College in Ontario was first determining who would come under their umbrella of licensing, (which NGH wanted to avoid in order not to be forced into a medical model of working), the National Federation of Hypnotists activated its resources with the Canadian Labour Congress (CLC) and with their help, retained the lobbying firm of Jefrey Lyons and Associates to assist us. During 2011-12 , that lobbyist engaged in extensive negotiation with the Transitional Council for the Psychotherapy College. As part of the legislative hearings and in all testimony of legislative intent, we received assurances that the Psychotherapy College DID NOT intend to regulate the practice of Consulting Hypnotism as defined by the National Guild of Hypnotists. 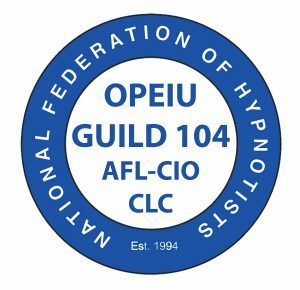 At the time all that was happening, there were only 5 union hypnotists in Ontario, but the considerable lobbying cost for the Ontario issue (well into five figures) was paid for by our union colleagues in the United States standing in solidarity with us, however they will not do this indefinitely without a larger member base in Ontario. $96 for an annual 12-month membership … that’s only $2 a month!